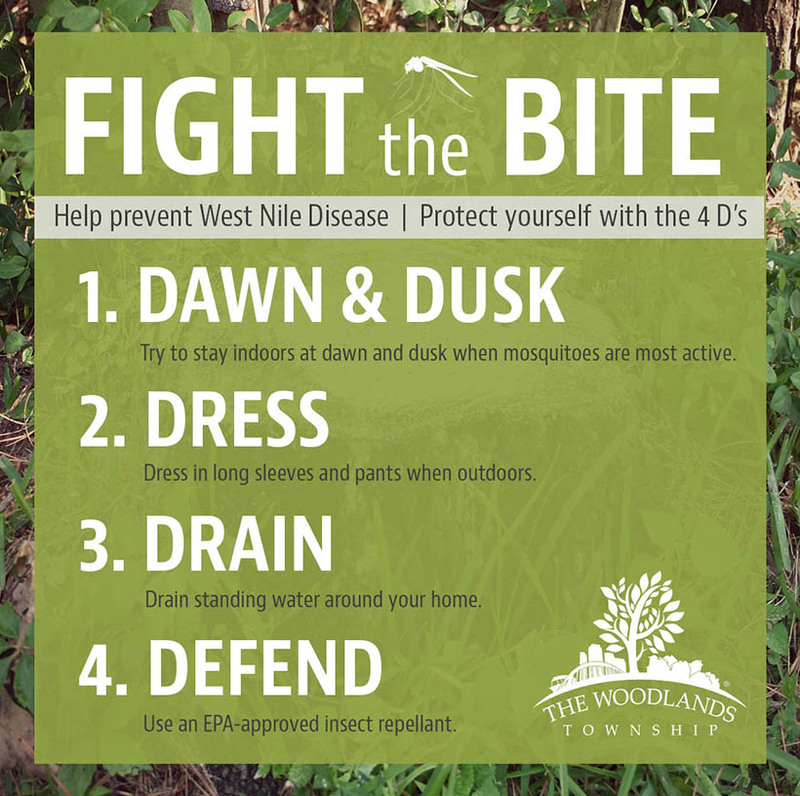 The Woodlands Township Environmental Services Department reminds residents to take precautions to protect themselves and their loved ones from mosquito borne disease. Residents are reminded to drain standing water, treat where water cannot be drained and most importantly–wear insect repellent! Visit the Township’s Mosquito Abatement webpage for great resources and plenty of tips on how you can fight the bite! To report mosquito issues, please contact The Woodlands Township Environmental Services Department at 281-210-3800. ← Fight the Bite—Wear Repellent!